For extreme sports athletes and models, this constant resharing of imagery is a boon; For us photographers who want to publish our work while also retaining some control over it, it's a nightmare. Freebooting is a massive part of Instagram, and some would argue that Instagram itself is entirely complicit. For example, other than the terms of service that no one reads, there are no warnings to users that they should own, or have permission to use, the images that they are posting. If someone has stolen one of your images, only you can report it. The process itself is drawn out and confusing, discouraging less knowledgeable users with a maze of menus and unclear links buried in dense pages of text. 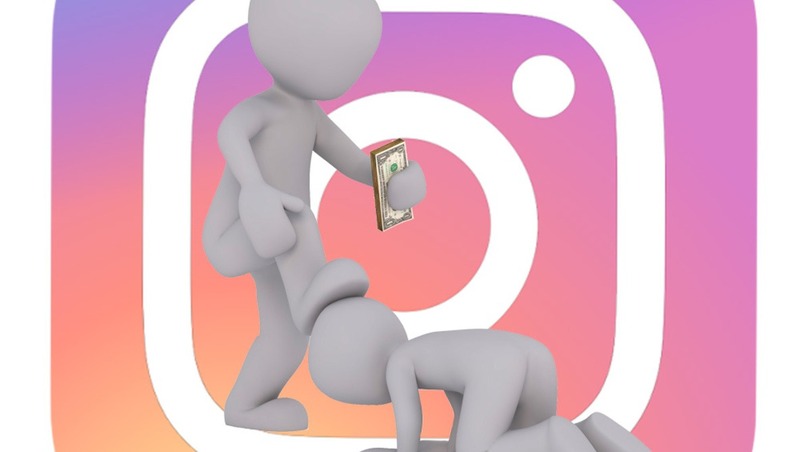 "Remember to post authentic content, and don’t post anything you’ve copied or collected from the Internet that you don’t have the right to post," the Instagram website states. But what if you're doing this repost thing that everyone does? Isn't that different? If the Metro newspaper can tell its 11 million readers that all you need to do is download an app and repost whatever you like without asking, then surely it's fine. Right? One of the many repost apps available for use on mobile phones and tablets. If you type "repost" into the search bar at Instagram's help center website, there is one result which has nothing to do with reposting other users' images. The App Store's foremost repost app all but tells its users that they can repost whatever they want. There's no mention of permission. 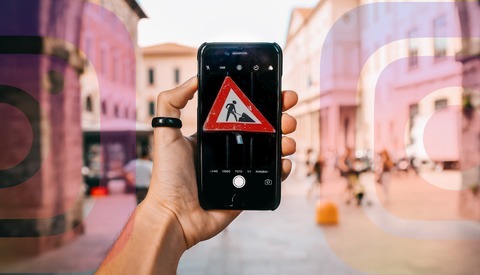 Many people have asked why Instagram doesn't include a repost feature inside its own app; one possible answer is that Instagram is being smart, letting millions of copyright breaches happen without being directly involved. 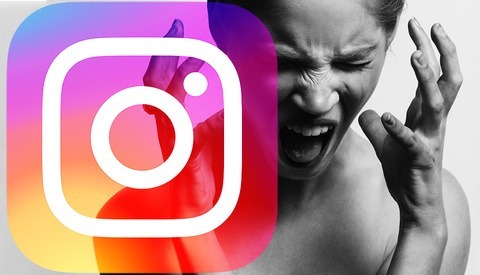 Rumors of a native repost feature flew about last week but Instagram will have to take some fairly dramatic steps to implement it without undermining its own TOS, or completely changing the way that its platform functions. The last two years have seen a growth in the number of hashtag-dependent reposts, whereby an Instagram profile will encourage other users to include a specific hashtag for a "chance to be featured." Often these profiles have tens, if not hundreds, of thousands of followers and offer that wonderful "exposure" in return. Many people include hashtags without realizing that this supposedly gives permission to reposting profiles to use their images. Upon seeing their images reposted, they typically don't complain, either because they believe that the hashtag gives the reposter permission (it doesn't), or because they don't mind the extra followers that it has brought them. Last week, a Spanish climbing magazine with 29,100 followers, @desnivel_revista, published, with permission, a photograph of climbing legend Lynn Hill from her historic ascent of The Nose in Yosemite National Park. Taken by world-renowned Outdoor Photographer Heinz Zak, this image received over 3,000 likes. This image was then reposted by another Instagram user. I won't name them as I don't want to give them any traffic. 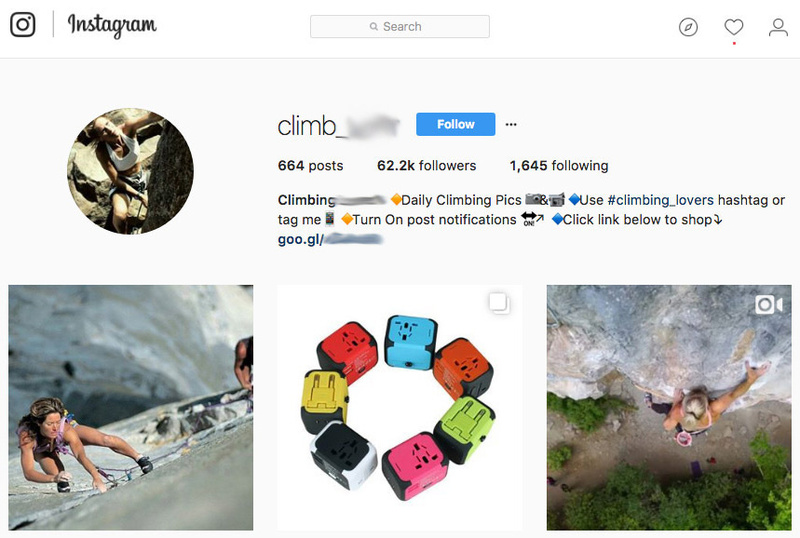 This user has 62,000 followers and is also a small-time online store selling rucksacks and climbing-related paraphernalia. The user had cited @desnivel_revista as the source and credited the photographer but, in effect, Hill and Zak were unwittingly advertising brightly-colored travel adapters. I contacted the online store to ask whether they were aware that they were breaching Instagram's TOS. "I always give credit to the owner and if they don't like it, they can ask me to delete," I was told. I hold nothing against this company; they're exploiting a system that seems complicit in being exploited, following conventions that are prevalent across the platform. I pointed out to them that, by the time they remove the image at the owner's request, there's no point in it being removed as the advertising is done. Imagine a business where you use other people's beautiful images and videos to build your brand at absolutely no cost and can advertise directly to 60,000 individuals who have pre-selected themselves as your perfect demographic. 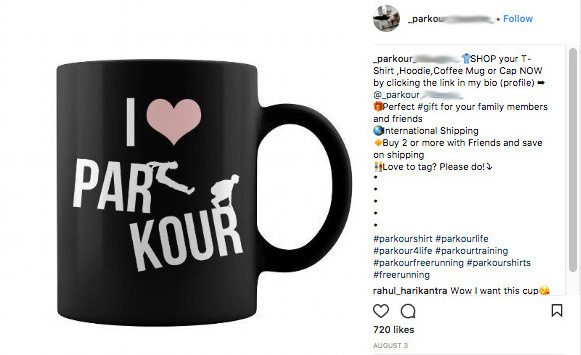 I regularly see my own photographs published on a profile that sells terrible parkour merchandise, using an online t-shirt and mug printing service to process orders. They hold no stock and have no overheads. 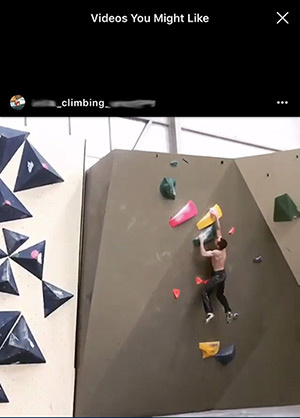 They take parkour photographs and videos from Instagram and repost them without permission, mixing in adverts for their products. I've reported the use of my images and they've been removed, but there are no further consequences. My images received their share of likes, did their work as adverts, and then disappeared down the feed. By the time they were removed, there was no need to remove them as they were no longer being viewed. There are literally 1,200 other images and videos on the account, all used without permission, all posted without the owners' knowledge and with very little chance of the owners ever finding out. Instagram will take no action against this user as there is no incentive. It generates more views, and therefore more Instagram ad revenue, and the rights holders are not complaining because they don't know or simply don't realize. Many of the freebooting accounts don't have online stores, but despite the appearance of "supporting a community," these accounts are now being monetized. Sponsored posts cost on average around $300. If a user has more than 100,000 followers, the fee can be as much as $800. Those that see their images reposted simply don't realize those that consume these images simply don't care. "If you repeatedly infringe other people's intellectual property rights," says Instagram's Terms of Service, "we will disable your account when appropriate." In this context, "when appropriate" is legal-speak for "when it becomes Instagram's problem." If it's creating ad revenue, it's probably not a problem. Maybe we don't mind our images being exploited without us earning anything from it, but the system should at least be transparent. As it stands, Instagram's TOS is completely meaningless. Of course, the 27,000 followers of the parkour t-shirt printers, and the 62,000 followers of the climbing travel adapters are all small-fry compared to the big influencers on Instagram. But when you consider that this is being replicated across a social media giant of 800 million active users, freebooting probably constitutes billions of image views every single day. Rock climbing and parkour are two tiny examples of a huge industry that no one is talking about. I don't begrudge Instagram making money from their platform, but the system as it stands is opaque, and people — including many photographers — have no idea of its scale. If you're a struggling photographer looking to make money, here's a suggestion: find an industry. Let's say skateboarding. Create an Instagram account. Share the skate community's cutting-edge content, always giving credit, always sharing the love. Use an app and repost images and videos several times a day, exploiting Instagram's tendency to reward those who post most frequently. You can even code a bot to automatically repost the skate videos that receive the highest engagement. Instagram might make it even easier in a few months with their own "repost" button. Create a following of, say, a hundred thousand people. Then make skateboarding t-shirts and start selling them to your perfectly targeted audience, mixing in a few sponsored posts along the way. It's what Instagram wants you to do. It seems Facebook's whole ethos is quite slimy and they don't have a different policy for Instagram. Had something similar happen to an image I posted on IG. I put a hashtag on the post that is used by high visibility and active profile (used by a personality for business) for features, and my post was reposted by that profile. The reposter did link back and credit me appropriately (which apparently is better than most reposters do), and that post received over 4k likes in less than an 8 hour period; it had limited to no impact on my profile despite the visibility. However I can say that my visibility in that hashtag pool has increased my following, but certainly not to the extent that 4k likes would lead one to believe. In essence, the reposter got all the credit for the work, I am reconsidering my approach to tagging and "features". Great article and something that is so frustrating. Not only is it small instagram 'hubs' that repost stuff, I've literally had fortune 500 companies repost my stuff without payment or attribution. What's hard is balancing the constant firehose of "how to build an instagram following" posts by other photographers with "this huge company is literally building their brand with my images." It seems many photographers want their work to be shared on instagram in this manner or even get excited when it happens. Writers on fstoppers, petapixel, etc, even advocate and perpetuate freebooting. I can admit that it doesn't bother me so much when a 'hub' account to reposts stuff - but when a HUGE brand with millions of dollars at their disposal posts your content with no credit, permission, or payment, it's, well, a horrible feeling. I recently started an Instagram account with the goal of featuring and linking to photographers work and sharing more about the gear they used to create the image. I only post from people who give me permission and who give me their camera/lens/light info. It is very difficult to get people to reply. So it makes for a very slow processes getting new content. So...I see why pages just take stuff, but that doesn't make it okay. I also agree that sites like Fstoppers essentially exists by repurposing other people's work. But I guess they at least link back to the original creators. Great article Andy! The problems and real priorities of social media platforms only become more apparent and more hypocritical as time goes on. The unfortunate truth is that when a giant corporate entity places profits above all else, above real people and real lives, we all lose. At least watermark your images. If you post for self promotion, add your website. That alone will cut down on other people using your images. Watermarking doesn't help. No one cares who the artist is, they just want to use the image. Watermarking confirms you are the artist but the people posting this are not trying to take credit for being the artist, they are just using your image for views. Any photographer trying to take credit can easily remove a watermark anyway. The only point of a watermark is if a corporation saw your image and like it and wanted to sponsor you or order prints, they could at least have your name (assuming it was legible and not a signature) to google you and then you have to hope your info pops up. It might help slowdown infringement, scumbags do rip stuff and photoshop watermarks out. But that takes time and most will move on and find a virgin image. I think I might go back to watermarking my images. It doesn't prevent it, but it at least adds some level of traceability. In my experience, watermarked images get less engagement, but the flipside of that is that they also seem to get freebooted a lot less. Perhaps for the same reason, I suppose! That’s not correct! Affixing watermarks are extremely (legally) beneficial. If you choose NOT to (timely) register your copyrights, at the very least affix your images with a watermark photo LOGO that includes the copyright logo + year, your name, and web or social media site/s); reiterate this attribution in the image’s metadata. Per the DMCA’s Copyright Management Information statute (CMI, aka watermarks, metadata, etc. ), a party who removes, covers-up, or changes any CMI to hide an infringement can be liable up to $25K in statutory and other damages; the infringer may also be liable for the photographer’s attorney fees/costs! A timely registered copyright is not required to pursue CMI money damages (17 USC § 1202). In short, watermark ALL your web-posted images! The issue here is not someone stealing your work and playing it off as there own or selling prints...otherwise copyright or watermarking might help. This is strictly about freebooting as is perfectly legal under the terms of service on any website where people repost your image (usually with credit). If you post your image anywhere other than your own site, it is subject to the terms of the site you posted it to. That includes fstoppers which posts 100's of images on their instagram that they didn't take but were uploaded to their site and thus subject to the terms of service of the site. At least that is how things are playing out thus far. When you responded to my and a previous post about the effectiveness of affixing watermarks to creative works, you opened a supplemental thread that allows us to comment off the main topic about watermarks. Off-Topic: When I searched the US Copyright Office’s database, I didn’t see any works registered under your name. You have neither legal standing nor “presumptive proof” of the validity of your copyright authorship and ownership, among other benefits that 17 USC provides photo/videographers whose works have been infringed. If you choose not to timely register your copyrights, at the very least, affix them with your business’ watermark logo to have some legal remedies against exploiters. I see that some of your videos are affixed with a watermark but not your still images. Mike Schrengohst that does not do anything. I've had a particular image stolen so many times by different people from all over the world and reposted or put into tumbler it boggles the mind. All I can do is have DMCA issue take down notices. None of these guys cares. In the tech world, assume you're the product if something is free. Even if you are paying for something, assume that you are still a product. It's really getting close to the time that those of us who actually do create online content do something to shut down these social media sites owned by that little turd, Zuckerberg. They produce nothing of their own, yet they are generating billions and billions of Dollars in advertising revenue, simply because they have massive traffic, and they highly manipulate the feeds of their users. I actually had this happen IG "freebooting" thing happen to me a couple of days ago. An image I posted on IG got reposted by some other user account and it got hundreds of likes. I only got about a dozen on my account. At first I didn't think anything of it other than that I might get some additional exposure, but now, after reading this, I have to say that my revulsion for Zuckerberg's social media empire is getting worse. Why do we persist in giving that guy so much of our time (and property)? Yes it is a dual edged sword to expose your work in the social media world - most people don't seem to care where images end up. So happy I deactivated my instagram account months ago. The best protection you can give your photos/intellectual property is registering them with the US Copyright Office, which you can do online. Your images are technically "copyrighted" the moment you snap the photo, but unless your digital files sell for hundreds or thousands a piece, you'll be hard-pressed to find a lawyer to help you when the time comes. However, once your work is officially registered you have much more recourse and the fines for the infringing party get quite hefty. I think this is part of the problem - all of this happens at such a low level that no-one is going to take anyone to court. However, when these low-level breaches of copyright happen on this vast scale, it becomes incredibly frustrating for us photographers as there's nothing we can do about it. I can try and sue the small time online store flogging their mugs, but will i win any money? Probably not. Will it change the change the system? I very much doubt it. Andy, I get what you're saying. The subject is freebooting which is quite low-level and wouldn't usually warrant a lawsuit. Freebooting aside, I urge everyone to look into how much the game changes when the images are properly registered. There are attorneys out there who can help with it. It might actually be worth it, in the event that someone has profited off your images and/or is uncooperative! I have completely dropped all social media platforms from my marketing efforts. All of them either have moved or are moving towards effective pay for play models. Moreover, Instagram followers are no indicator of success as I note that every photo I uploaded was immediately liked by a significant number of people whose follower count slightly trailed their following count. Obviously (to me at least) these were not "real" likes but reciprocity requests. With millions of users the signal to noise is really high and one's efforts are complicated further by the issues highlighted in this article. I am fortunate that I have developed a track record with clients over 30 years and do not nee to troll for new clients. If there is a client I wish to make contact with I study them and make a personal contact. It does not work quickly but when a client chooses me it is a more durable relationship than a blind email asking "What is your day rate?". I wish I could rid myself of the social media curse too. I know that wedding photographers thrive on social media for their marketing, especially Facebook because they can tag the couple, which results in their photos being seen by all the wedding guests. This opens up referral markets in a big way. I have also noticed in the past couple of weeks that Facebook have now removed the sidebar ticker on their desktop app, which means they are further manipulating what you see. Not that I'm complaining but doesn't fstoppers (and others) post the images we upload on its site and on instagram? Again, we knowingly upload them and you give full credit but isn't this about the same thing? You gain traffic from other peoples awesome images right? I don't know what ads my image might be placed next to or associated with either. You can also re-post a story originally created by someone else and as long as there is credit somewhere (usually a small link at the bottom left), it's all good. Pretty much every news site operates like this. Youtube is probably the best example of NOT doing this where you are only embedding the video instead of downloading it, uploading it to your channel, and adding a link in the description for the original poster. But all news sites operate by using other peoples stories including images and just giving credit in a link so I never found instagram to be uniquely bad. Example is that Buzzfeed doesn't need to create a single piece of original content to exist. They can just upload other content and throw a link for credit somewhere at the bottom and it's all good. Dan Watson is right. And this is never going away guys. Either you play with these new rules or you just don't ever post any picture on the internet (and forbid your clients from doing so as well). You (and I) may not like it, but that's irrelevant nowadays. It is what it is. And yet… two articles down in the feed on fstoppers is another article telling us how to get even deeper into Instagram. Irony, anyone? It's been standard practice for media outlets for a long time. Get at least two stories out of everything. Publish or die! Even better if you publish opposite stories, because then you stimulate the emotions of a much wider audience. In one story, your protagonist is a hero. In the next, they are a villain. Or vice versa. At all times, click click click! This is something I have thought about for a long time. Say an account of over 100k followers that sells stuff from their account post one of your images to draw in attention, likes, views and new members - then the following post is to sell something - I would think that a good lawyer would say your entitled to compensation. ?? no? If I had the time and resources to take that to court, then I'd do it. One way of looking at this system is to see it as being set up so that those who suffer are small enough that they can't do anything about it, and the individual instances are so trivial that they aren't worth fighting. On a personal level, it's frustrating. But once you multiply up all of the individual instances, it's an industry-wide scandal.